no expectations - just let your creativity flow...one stroke at a time. 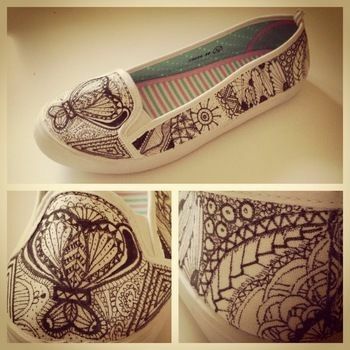 I fell in love with Zentangle drawing. only relaxation, meditation and lines. line after line - one stroke at a time. 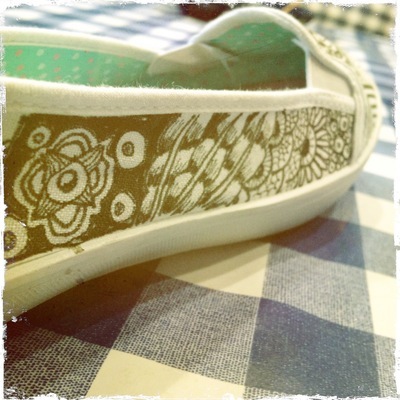 I had these white flats laying on my closet. I wanted to try Zentangle drawing to another format than paper. Im pretty happy with the result. 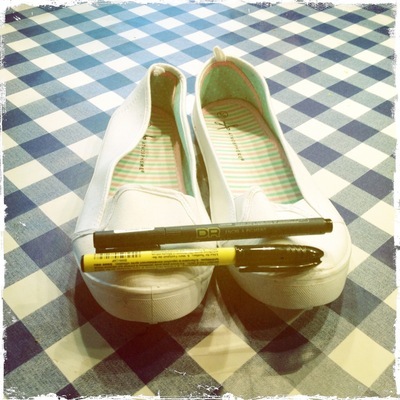 Pick up your flats and markers. Place them on the table. I recommend to use 2 different sizes of markers to create some depth to your creation. But if you only have one marker laying around, no worries that will do fine. 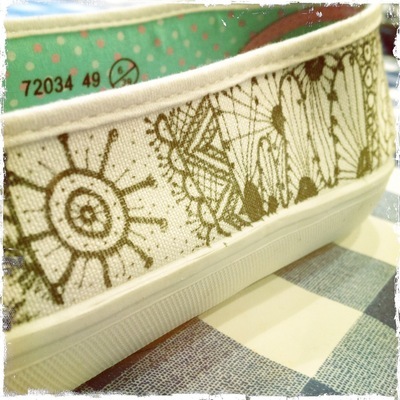 Follow the stitch lines if you like - or create own lines. What ever feels right to you. Just keep going. Nice and easy. Inspirations can be found easily online. 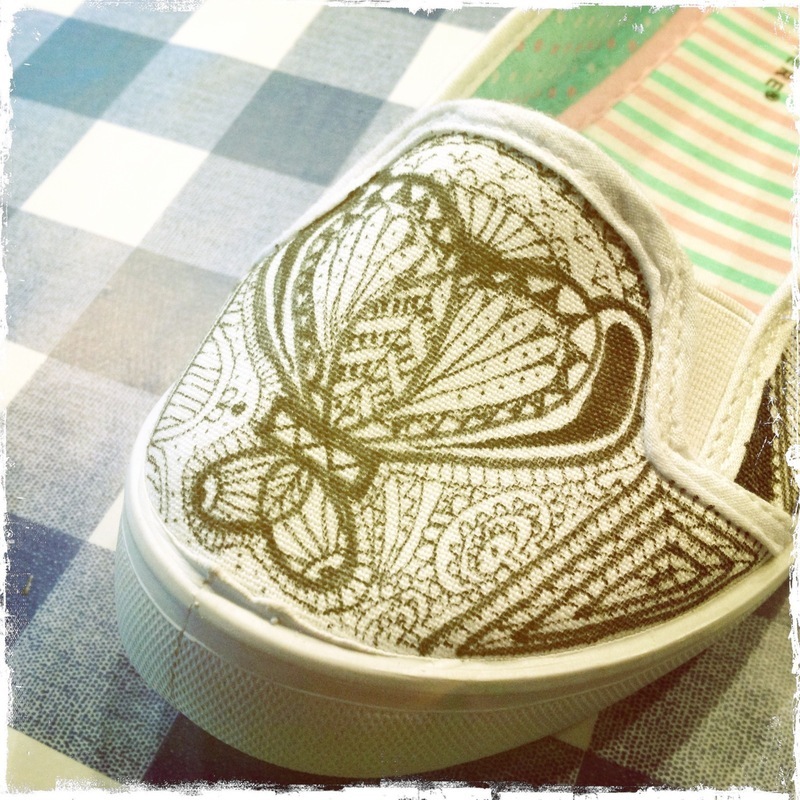 Just type zentangle and search. One side after the other. That is how I made mine. But there is no order or rules how to Zentangle. Pick any order you like. Each side can be different. Or quite the same, if that is more your style. I did first the sides and then this front part. 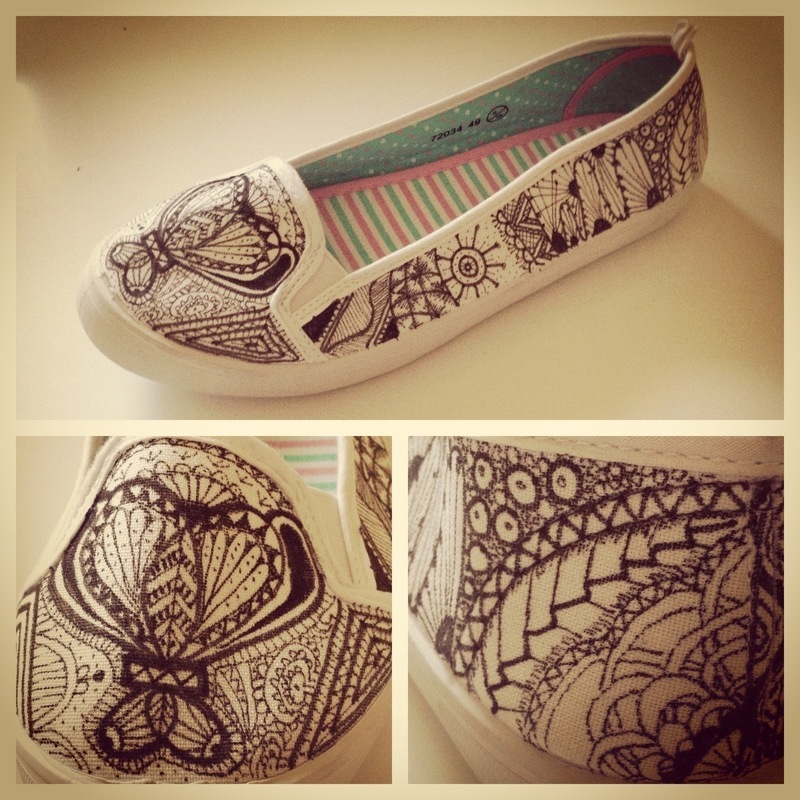 Take your time and really enjoy this doodling process. 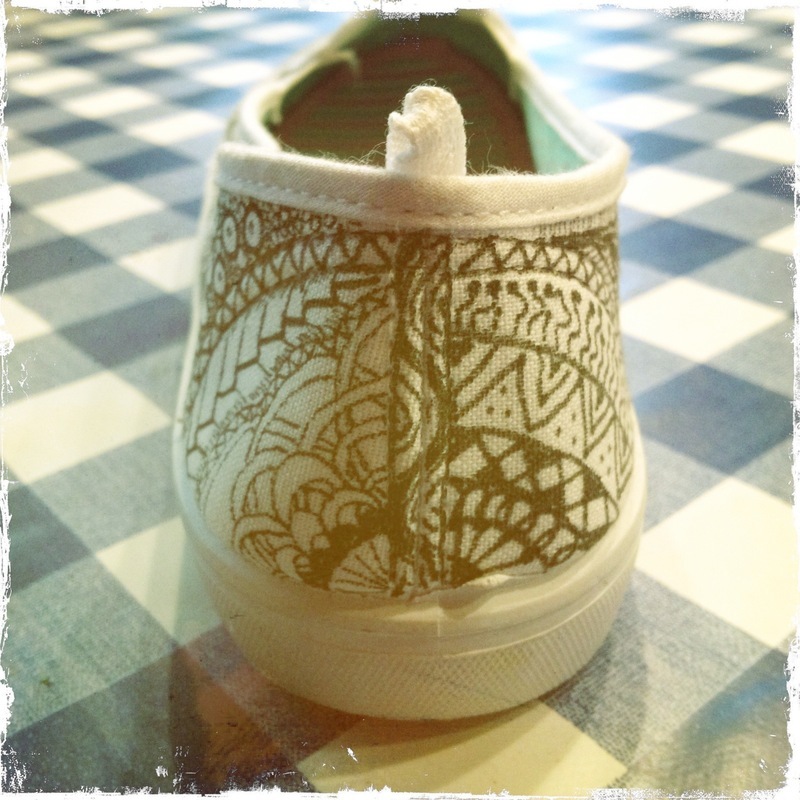 Zentangle method is an elegant metaphor for deliberate artistry in life. No hurry - just enjoy every stroke. One point you realize that you are all done. 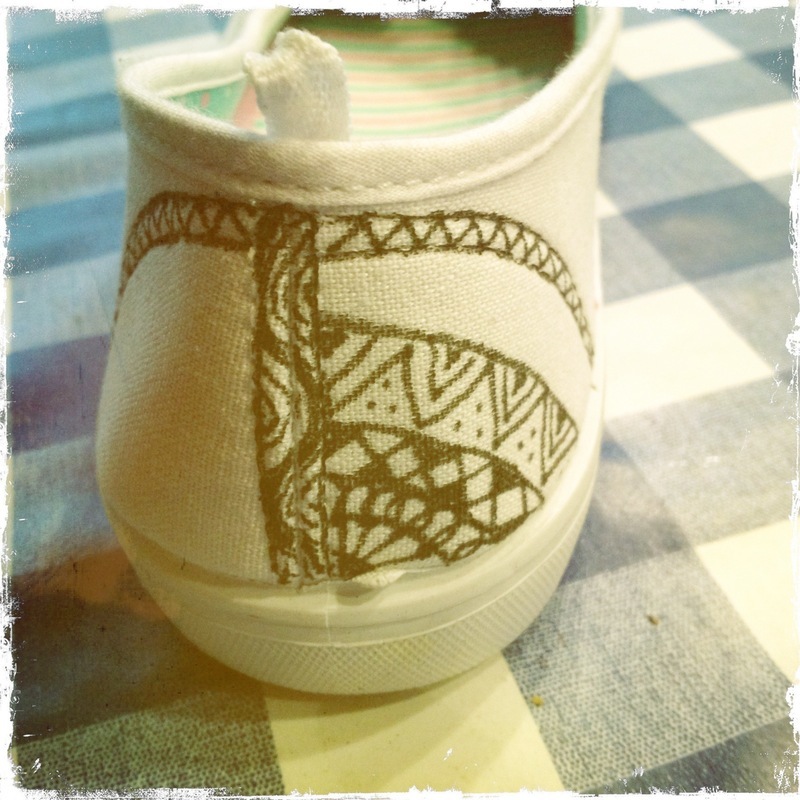 And hungry to Zentangle more. Reminds me of an Indian Wedding - with the Henna designs on the hands and feet of the Bride. Beautiful work of Art! Beautiful work. They look great! 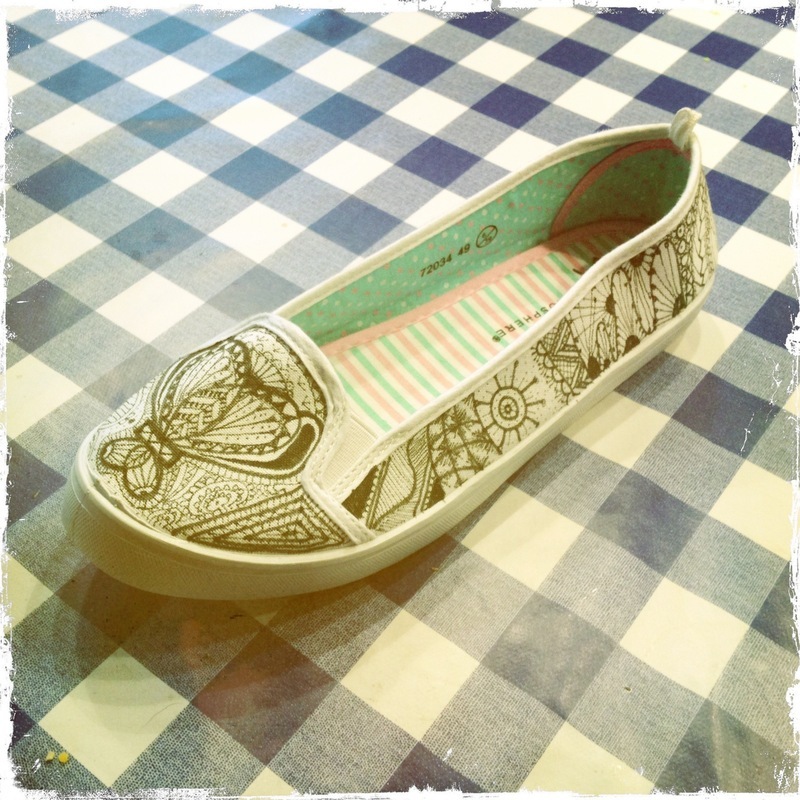 These are beautiful - great job!